A two-piece molecule that Cas9 binds and uses to identify a complementary DNA sequence. Composed of the CRISPR RNA (crRNA) and trans-activating CRISPR RNA (tracrRNA). Cas9 uses the tracrRNA portion of the guide as a handle, while the crRNA spacer sequence directs the complex to a matching DNA sequence. 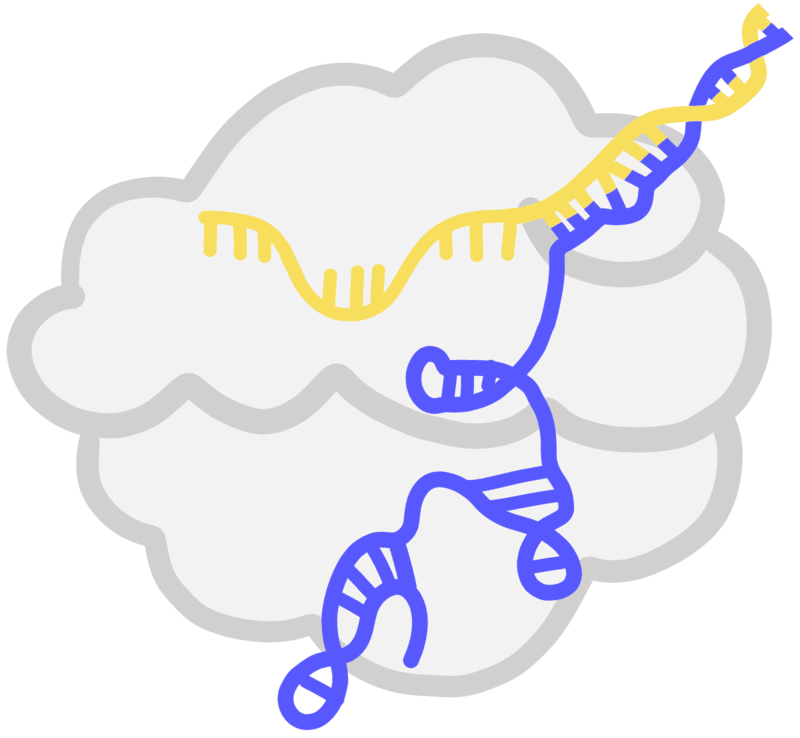 Scientists have also formed a version of the guide RNA that consists of a single molecule, the single-guide RNA (sgRNA).